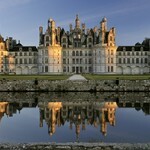 Henry James described the Loire as the “land of good dinners” and so it is. The whole area is celebrating the 500th anniversary of the ascension of Francis 1 known as the “Le Grand Roi François” and a renowned gourmet. 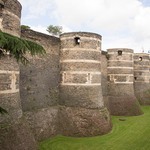 We went to visit one of his homes, the Royal Chateau Blois which is filled with more than 35,000 works of art and also has an awe inspiring 13th century assembly hall. Afterwards it was great to chill out just a few yards away and relax in its ancient orangery which is now a Michelin starred restaurant simply called L’Orangerie-du-ChateauThe setting is superb, overlooking the Royal residence but with its own attractive garden and terrace and the emphasis is on showcasing the character of the products of the Loire valley. 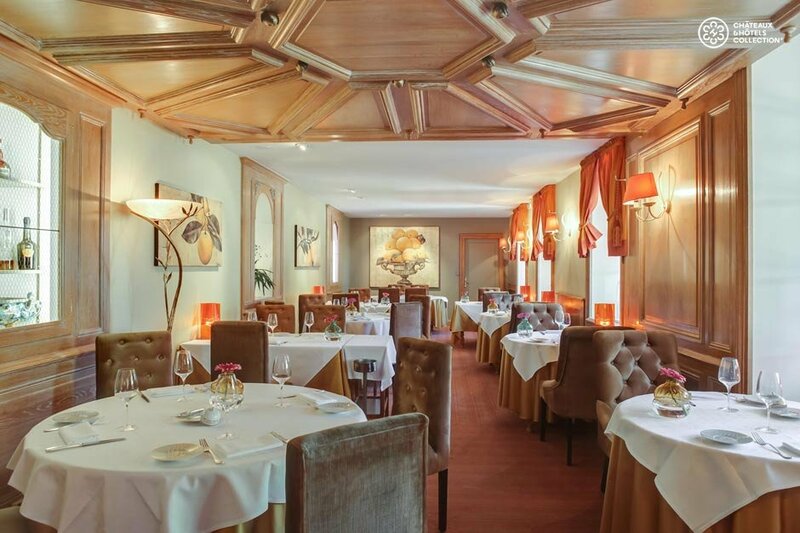 Anyone who has ever eaten in Paris will soon realise that L’Orangerie-du-Chateauis is also excellent value for money with high quality, sophisticated food. 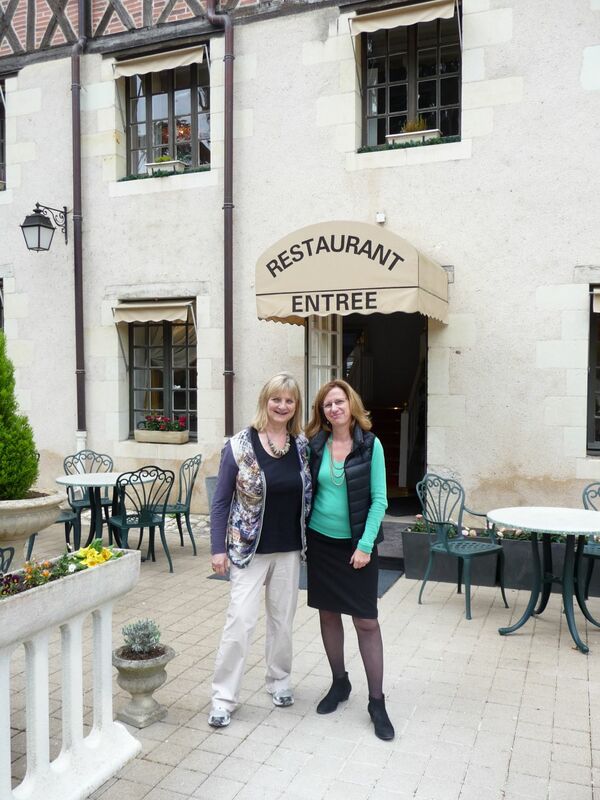 We were greeted by Karine, the friendly wife of Chef, Jean-Marc Molveaux, who took us to a stylish private room called The “Salle à Mandre”. It took me some time to realise that this was a pun on the word “Salamander” – the personal emblem of King Francis 1. Then we were served a 16th century royal feast. 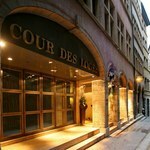 The Aperitif was “Hypocras” a favourite drink of the 16th century French court. It is a hot wine, mixed with sugar and spices, including cinnamon. After steeping the spices in the sweetened wine for a day, they are then strained out through a cloth filter bag called a Hippocratic sleeve – originally devised by the 5th century BC Greek physician Hippocrates to filter water. Delicious – and healthy too! Then came a selection of Amuse Bouche. I chose a really tasty foamed pea soup. The restaurant prides itself in frequently changing the menu according to the seasons and what is available, and our next plate reflected this. 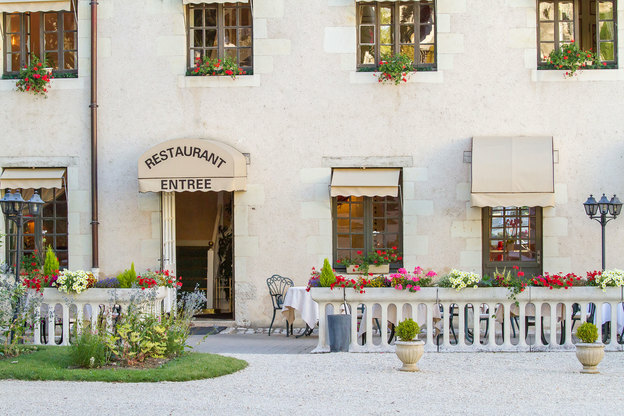 “Autour de l’asperge” consisted of the local seasonal white asparagus in many different forms, encompassing soup and mousse and also cooked simply with a lemon sauce. Each element was absolutely delicious and beautifully displayed. It was followed by a house speciality “Paleron de Bœuf et Foie Gras en pot au feu”. Chuck steak & foie gras cooked in “pot-au-feu. 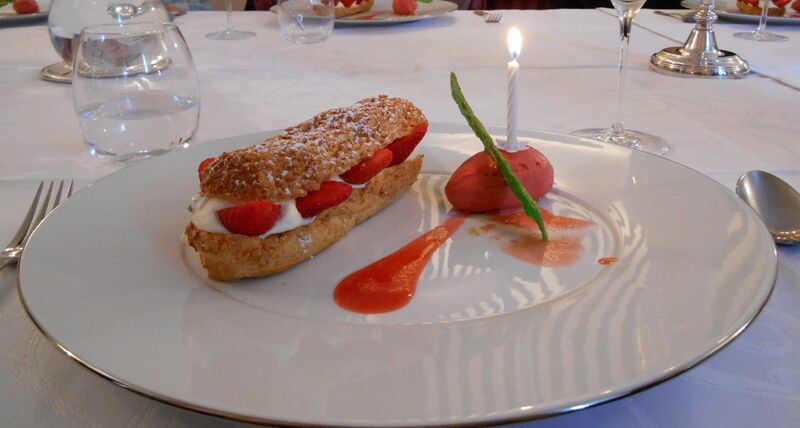 As the dessert came, word had got around that it was my birthday, so my tasty “Eclair revisité à la Fraise et Vanille de Tahiti” – Strawberry and Tahiti Vanilla Éclair – came with a sparkler and a song. On reflection I don’t think I could have had gone to anywhere more stylish to have lunch on my special day. 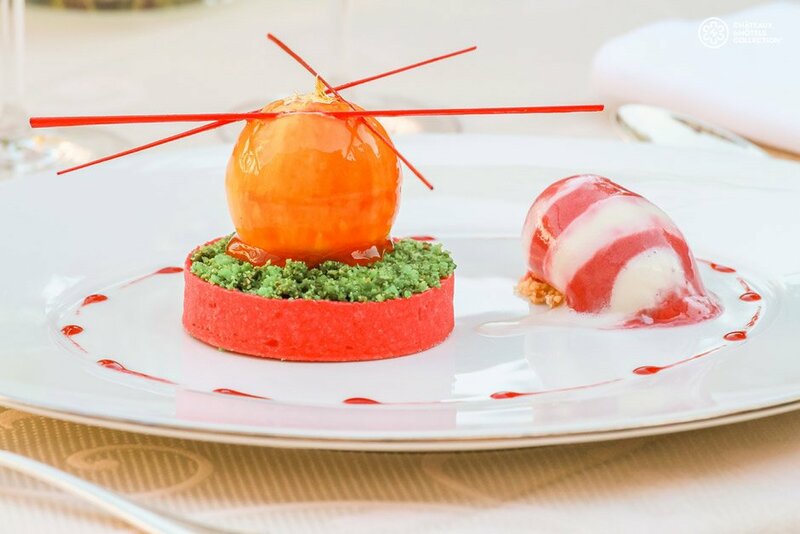 I want to eat at L’Orangerie-du-Chateau. How much is it? There is an A La Carte option and a choice of five different Prix Fixe menus, ranging, for a three course dinner, from €38 to €83 per person. The wine list is extensive too and reasonably priced.